I’m wondering if I’m doing too much self-reflection, and there is nothing attractive about navel gazing. Then I remember the importance of offering myself grace, because, after all, I practice my words here. I don’t have this life figured out. I’m in the process of screwing up things in my job, my relationships….heck, I can’t even get around to getting my yard work done. I’m a complete mess. There is something not right in my spirit. I’d been feeling this way all week as I worked on a message for church, something I normally enjoy (hard as it is). But I struggled all week, and not in the normal way I do when I have a big message to give. The week is normally a mess of emotions, research, frustration, napping and chocolate eating. Not this time. This time I was apathetic. After a trying emotional experience Thursday afternoon, something shifted in me. And I still haven’t been able to figure it out. 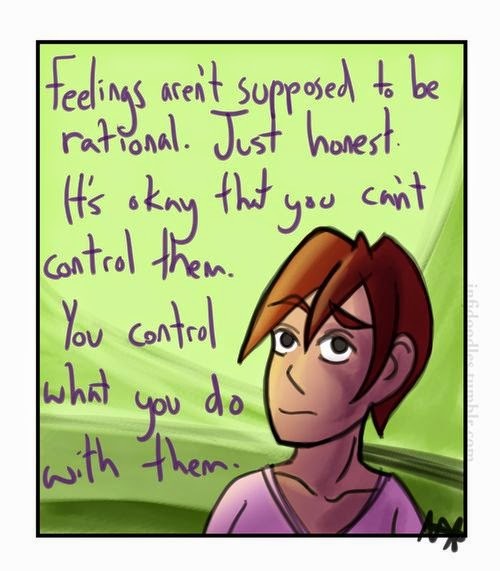 I’ve read that INFJ’s often think in pictures, yet we only understand what we feel after we’ve written about it. (This is most often the case with me.) We utilize both side of our brain with equality… so basically, both emotions and logic try to rule us. That’s not very fun. It means I don’t always know which path to follow in order to figure it all out. The logical and straight path? The creative and winding side? Beats me. 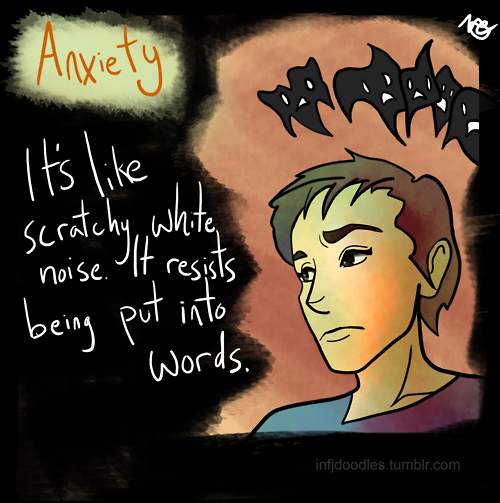 So I sit in this anxiety, and it feels like something is under my skin that I just can’t scratch enough to get relief. Halfway through giving my message yesterday, I realized that what I was struggling with involved the fact that I had not yet connected to what I’d written. There were parts that were emotional for me (as always) but I hadn’t hit that groove… it’s hard to explain, but when teaching Scripture, there is a point where you realize that the work and research you did had the Holy Spirit’s fingerprints all over it. I didn’t have that moment until yesterday morning and I didn’t like that it took that long. All weekend, I had this itchy anxiety that I could not place. That i couldn’t name. That I couldn’t put in a neat little box, label it and put it away on a shelf. I didn’t want to give the talk, I didn’t want to go to work, I didn’t want to be here. I still don’t know what this anxiety is rooted in, but I am fearful of what I suspect it is rooted in. Experience tells me it will eventually reveal itself, but only after I spend time connecting some dots. I know that when I connected with the words I wrote, while I was speaking them, that a big part of that connection simply comes from it being my call. God has called me to teach. So perhaps that connection happening, despite my apathy, is simply because of God’s graciousness towards me. I can only pray for the same grace as I sort out what is not right in my spirit at this moment.